Even when millennials did watch on TVs, 32% of them reported using connected TV devices to access TV programs, with game consoles next with 25%. No surprise, the main reasons given for watching TV programs on digital were all about improving the viewer experience with "Prefer to watch on my own schedule" cited by 56% of respondents, followed by "It's more convenient" (52%), "I can skip the commercials" (38%) and "Prefer to watch multiple episodes all at once" (35%). The comScore data also supports the extensive adoption of binge-viewing behavior across both pay-TV and non-pay-TV subscribers. 42% of each group reported binge-viewing at least 1-2 times per month. 30% of pay-TV subs binged 3-5 times/mo (21% for non-subs) and 15% of pay-TV subs binged 6 or more times/mo (6% for non-subs). Watching on TV via DVR was preferred by 43% of bingers, followed by pay-TV VOD (19%) and connected TVs (12%). Also no surprise, comScore found that millennials are 77% more likely than average to be a cord-never, and 67% more likely to be a cord-cutter than average. In addition to age, smaller household sizes skew heavily toward not subscribing to pay-TV, with 60% of single-person households and 52% of those without children reporting they don't subscribe. 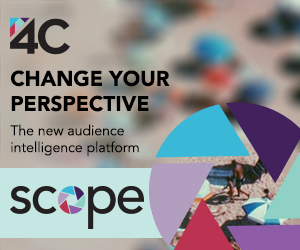 All of the comScore data is directionally consistent with other data I've been following, reinforcing key trends around millennials' digital viewing habits, the rise of OTT options and the need for pay-TV operators to provide more flexible viewing options (i.e. TV Everywhere). 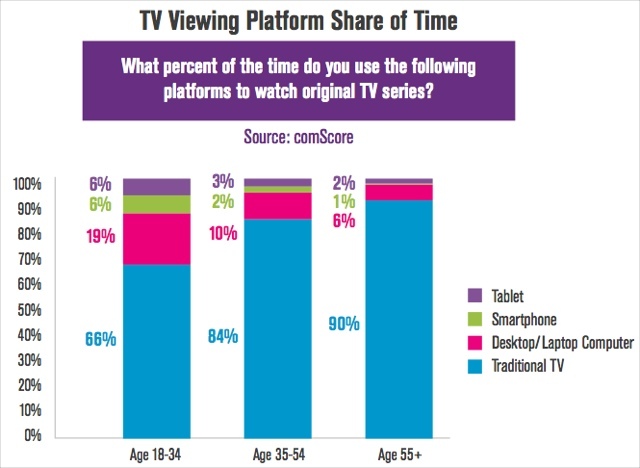 The data also reinforces why cross-platform and C7 measurement are so critical to TV networks and advertisers. The data is part of a new "Total Video" report from comScore, based on an online survey of 1,159 respondents in August, 2014. The full report can be downloaded here.